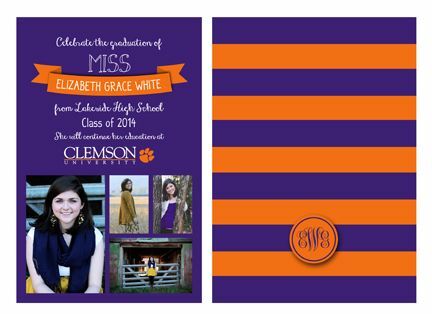 Here is the final invite that Grace and I created together for her graduation, and I'm excited to show off some of the matching party printables that I made for her party. 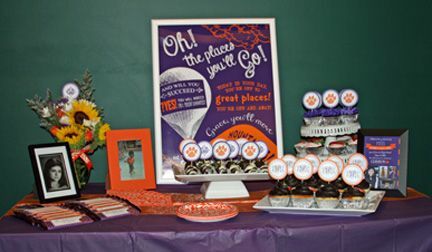 Grace will be attending Clemson in the fall and wanted to use Clemson's colors of purple and orange for her invitation. 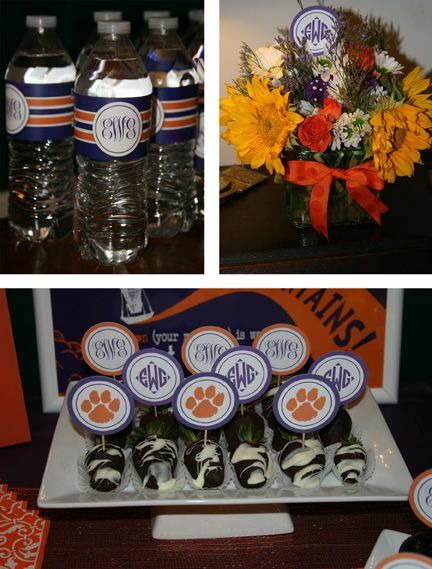 I also created a couple of monograms for her (she loves monograms) and we were able to use them on food items and to decorate for her party. The most amazing thing about the party is that my niece created the menu and cooked most of the gluten free food for her own party. 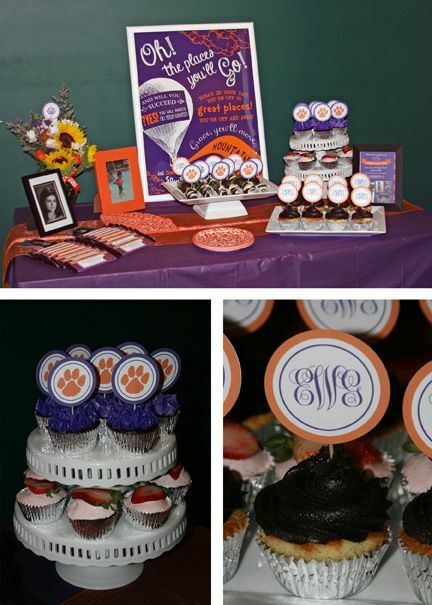 The cupcakes and chocolate covered strawberries were my favorite! She did a GREAT job icing them! 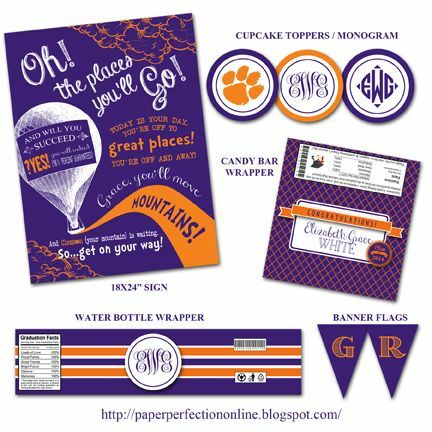 If you are interested in graduation party printables or custom items for your next event contact Paper Perfection at jtanddolly@yahoo.com for pricing and details. 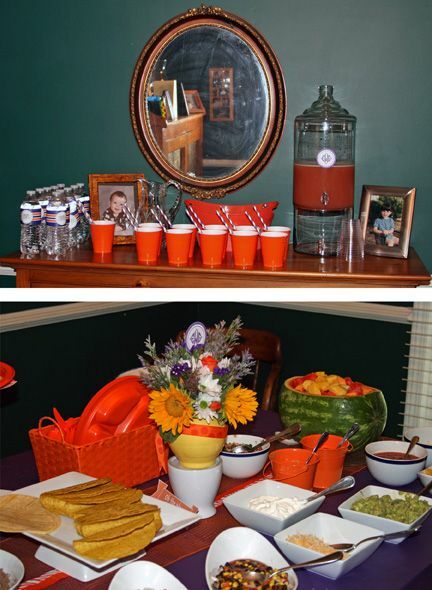 Here are some of the items that I created for the party shown in the pictures above.